Barclays is partnering with (and investing in) payment and loyalty platform Bink to digitalise the way customers use loyalty programmes. The bank has committed to a “significant” investment and will take a minority stake in the UK firm – as it has led an investment round of £10 million into the start-up. Ruchir Rodrigues, head of digital and open banking at Barclays, says: “Bink has created a practical and innovative solution to an everyday problem and we’re excited to support them in the next stage of their growth.” Bink’s loyalty card app will be integrated into Barclays’ debit and credit cards. It is understood that Bink’s founders were initially hoping to raise £25 million last year, but this did not materialise. According to CEO Mike Jordan, the plan was “slightly too aspirational around the timeline”. 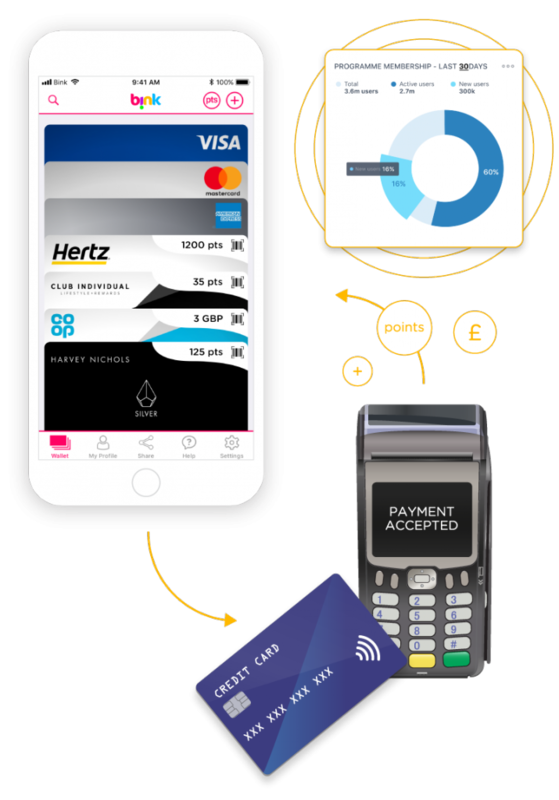 Founded in 2015, Bink’s Payment Linked Loyalty platform uses technology to allow customers to link payment cards to loyalty programmes, enabling them to automatically collect loyalty points when they make a purchase with their linked payment card. Bink is operating in the UK, and has offices in London and the south east of the UK. The new funding will help it launch in the US and South Africa.